As the landscaping season begins to wind down, we are very busy with both clients and upcoming educational projects. We are co-sponsoring a very special event, the Wealth Building Summit on October 21 in Louisville (during the week of GIE+Expo). For more informatioin about the Wealth Building Summit, see the article below or visit wealthbuildingsummit.info. We will also be conducting a webinar entitled Finding Freedom as a Landscape Business Owner on September 10. Full information is included below.  We’d also be happy to meet if you are planning to attend the GIE+Expo/Landscapes 2015 or one of the other events we are attending. Just give us a call or send us an email. Creating value is a fundamental goal of business owners. In most cases, a business owners single largest asset is the value of his or her business. In many cases, it is essentially his or her only asset of substance. Yet few business owners really understand the value of their business or how they can create wealth by increasing that value. Landscape business owners often ask me about simple approaches to valuation. I am somewhat hesitant to respond to those questions because valuation is anything but simple. Owners often draw wrong conclusions about the value of their business from simple approaches, especially when they hear rumors about what some other supposedly similar businesses have sold for. Valuation is often estimated as a measure of expected future cash flows discounted for risk factors. That calculation can be done using a variety of methods, but the simplest one is “multiples.” Under this methodology, the expected cash flow, often defined as earnings before interest, taxes, depreciation and amortization (EBITDA) from the business (based on actual history adjusted for future expectations) is multiplied by a multiple. Different types of businesses with different types of customers sell for different types of customers. There is typically a range of multiples a business owner might reasonably expect to get if he or she sold his or her business, with a less desirable company likely to receive a multiple at the low end of the range and a more desirable company likely to merit a multiple at the high end of the range. It may be possible to dramatically increase the value of your business by doing two things at the same time: growing your business and growing your multiple. Let’s go through an example. Suppose in your business segment, businesses typically sell in a range of 3 to 4 times earnings before interest, taxes, depreciation and amortization. Suppose further that you have a business whose EBITDA is $1,000,000 and the multiple your business would likely sell for is 3. That suggests a valuation of $1,000,000 times 3 or a total of $3,000,000. Let’s also suppose you could make some changes and grow your business’s EBITDA to $1,500,000. Those same changes (and some others) might move your multiple to the high end of the range or 4. That suggests a value of $1,500,000 times 4 or $6,000,000, double the initial value. In this example, the steps that enabled the business owner to grow his or her business’s EBITDA by 50% included many of the same steps that moved the multiple by one-third. The end result was a doubling of the value of the business. The business owner has created $3,000,000 in additional wealth. If you are a business owner, isn’t that a strategy worth thinking about? “Margins & Multiples: How They Fit Together”. Are you building value in your landscape business or does it seem like you are just treading water? The Wealth Building Summit is a unique, one-day event focused on how to create and accumulate wealth as a landscape business owner. The event will be held on October 21 during the week of the GIE+EXPO. Featured speakers will include Mike Bogan, former Brickman executive and now CEO of LandCare (formerly TruGreen LandCare), Jeffrey Scott of Jeffrey Scott Consulting and the Leader’s Edge and Ron Edmonds of The Principium Group. There will also be a panel discussioin with business owners who have actual experience with buying and selling businesses, along with case studies and networking opportunities. The early bird regstration deadline has been extended to September 10. Click here for more information and to register. Ron Edmonds of The Principium Group will be presenting a webinar on September 10 at 12 noon Eastern time. Ron will be interviewing Jeffrey Scott during this webiunar entitled Finding Freedom as a Landscape Business Owner. Key systems to develop a self-running business. The role of incentive systems; getting the right balance. Which people systems are critical for creating more freedom. Can you have both more free time and more personal income? Key Milestones: what to put in place to achieve your goals. Achieving the 4 ultimate measures of success. If you want to achieve more freedom (personal wealth and professional discretionary time), this interview with Jeffrey Scott will prove very enlightening. – Recognize (and implement) the key role you need to play in your own success. John Deere Landscapes as announced that it is rebranding as SiteOne Landscape Supply, effective October 19. JDL has been an aggressive acquiror since it was acquired by private equity firm Clayton, Dubilier & Rice in 2013. SiteOne Landscape Supply has filed with the Securities and Exchange Commission for an initial public offering of up to $100 million.